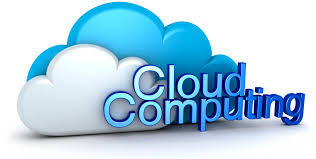 Cloud Computing is a term used for hosted computing services delivered to the client over the internet. 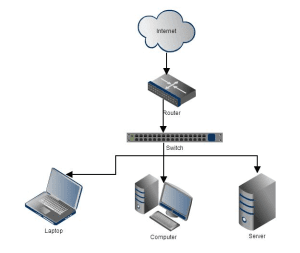 The computing resources can be related to hardware and software and are presented as a utility to the users via a web browser. With the “cloud” doing most of the work, this frees us up to access the “cloud” however we choose. It could be a super-charged desktop PC designed for high-end gaming, or a “thin client” laptop running the Linux operating system with an 8 gig flash drive instead of a conventional hard drive, or even an iPhone or a Blackberry. Cloud computing is a construct that allows you to access applications That actually resides at a location other than your computer or other internet-connected Device most often, this will be a distant data center. There are many benefits to this. For Instance, think about the last time you bought Microsoft word and installed it on your Organization’s computers. Either you ran around with a CD- or DVD-ROM and installed it On all the computers, or you set up your software distribution servers to automatically Install the application on your machines. And every time Microsoft issued a service pack, You had to go around and install that pack, or you had to set up your software distribution Servers to distribute it. Oh, and don’t forget the cost of all the licenses. This means that they handle the Costs of servers, they manage the software updates, and—depending on how you craft your Contract—you pay less for the service. Don’t forget the equipment that you won’t need to buy—which will result in fewer Capital expenditures—thereby causing the CFO to actually smile when she sees you. By Having someone else host the applications, you need not buy the servers nor pay for the Electricity to power and cool them. It’s also convenient for telecommuters and traveling remote workers, who can simply Log in and use their applications wherever they are. Let’s say you’re an executive at a large corporation. Your particular responsibilities include making sure that all of your employees have the right hardware and software they need to do their jobs. Buying computers for everyone isn’t enough,you also have to purchase software or software licenses to give employees the tools they require. Whenever you have a new hire, you have to buy more software or make sure your current software license allows another user. It’s so stressful that you find it difficult to go to sleep on your huge pile of money every night. Soon, there may be an alternative for executives like you. Instead of installing a suite of software for each computer, you’d only have to load one application. That application would allow workers to log into a Web-based service which hosts all the programs the user would need for his or her job. Remote machines owned by another company would run everything from e-mail to word processing to complex data analysis programs. It’s called cloud computing, and it could change the entire computer industry.